Philip Hobsbaum's commitment to encouraging and nurturing young writers began during his undergraduate days in Cambridge and continued in London, Belfast and in Glasgow. The Group, as his writing workshops were called, included, in Belfast, such emerging authors as John Bond, Seamus Heaney, Derek Mahon and Bernard MacLaverty. At Glasgow University the nucleus of new authors included Alasdair Gray, Liz Lochhead, James Kelman, Tom Leonard, Aonghas MacNeacail and Jeff Torrington. In 1995, Hobsbaum was instrumental in the establishment of the highly successful postgraduate programme of awards in Creative Writing within the Department of English Literature. "the training of a critic is also the training of a citizen." He was a distinguished critic and poet in his own right, his most highly regarded monographs being A Theory of Communication (1970); Tradition and Experiment in English Poetry(1979); Essentials of Literary Criticism (1983), and Metre, Rhythm and Verse Form (1996). He also wrote on individual authors, Charles Dickens, D.H Lawrence and Robert Lowell and published five collections of his own poetry between 1964 and 1972. Born 29 June 1932, London, England. Philip Dennis Hobsbaum (1932-2005) was Professor of English Literature, 1985 to 1997. Born in London, Hobsbaum moved to Yorkshire during the Second World War. He studied English at Downing College, Cambridge under FR Leavis and gained a PhD from the University of Sheffield in 1968. Hobsbaum was a lecturer in English at Queen's University in 1962 before coming to Glasgow as a lecturer in 1966. He was Senior Lecturer in 1972 and Reader in 1979, before he became a titular professor. Hobsbaum is best remembered for the informal creative writing group he founded in Glasgow, the members of which met in local pubs and in his flat. Among those who benefited from encouragement and criticism at meetings of the group were Alasdair Gray, James Kelman and Jeff Torrington. 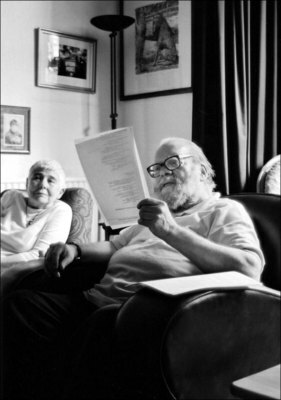 With Willy Maley he set up the MLitt programme in Creative Writing at the University in 1995. The Papers of Philip Hobsbaum are held by the University of Glasgow's Archive and Special Collections. The collection constitutes a range of material which documents Hobsbaum's activities and achievements in literature and education, including papers relating to the informal creative writing groups which Hobsbaum established while working in London, Belfast and Glasgow. Obituaries. The Times. The Guardian. The Telegraph. New York Times. The Herald. The Scotsman. July, 2005. World Changing Project, "Encouragement of young creative writers," in University of Glasgow World Changing (University of Glasgow, 2010); http://www.worldchanging.glasgow.ac.uk/article/?id=86 (accessed April 26, 2019). World Changing Project. "Encouragement of young creative writers." In University of Glasgow World Changing. University of Glasgow, 2010. http://www.worldchanging.glasgow.ac.uk/article/?id=86 (accessed April 26, 2019). World Changing Project. "Encouragement of young creative writers." University of Glasgow World Changing. University of Glasgow, 2010. 26 April 2019 <http://www.worldchanging.glasgow.ac.uk/article/?id=86>.